Welcome Mark Graban’s LeanBlog Podcast listeners! 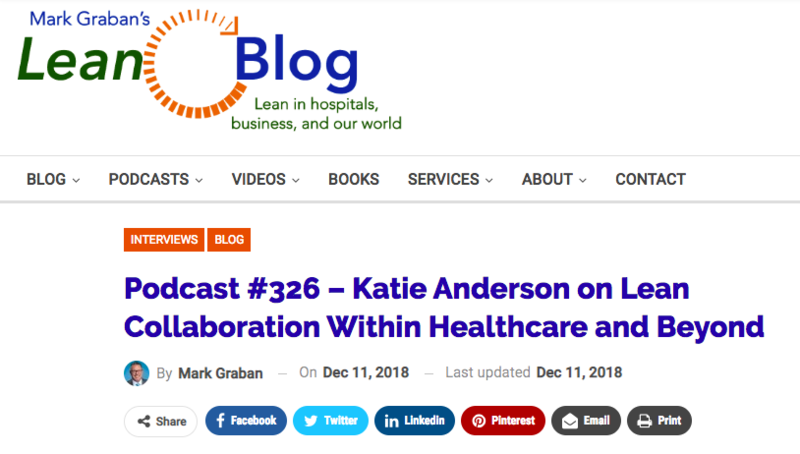 Thank you for following the podcasts that I’ve recorded with Mark Graban’s Lean Blog, including our most recent podcast released December 11, 2018. You can find links to all of my podcasts and webinars for the Lean Blog, Gemba Academy, IEX, and more on my media page. I’ve added some links at the end of this page to take you directly to some posts I’ve written about the people and places I mentioned in the podcasts. 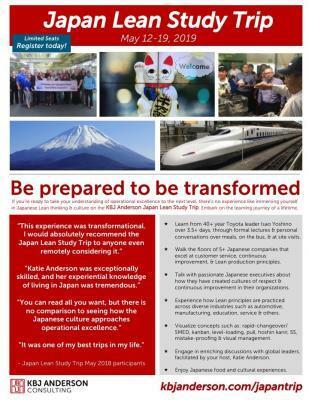 If you ready to take your understanding of operational excellence – and people development – to the next level, join me in Japan for an unparalleled week of learning May 12-18, 2019! Contact me and apply by the end of December 2018 and get a special discount of $200 the trip price (mention the Mark Graban podcast when you apply). Full trip details can be found on the KBJ Anderson Japan Study Trip website. Register today to not miss out on this high-value unique trip! 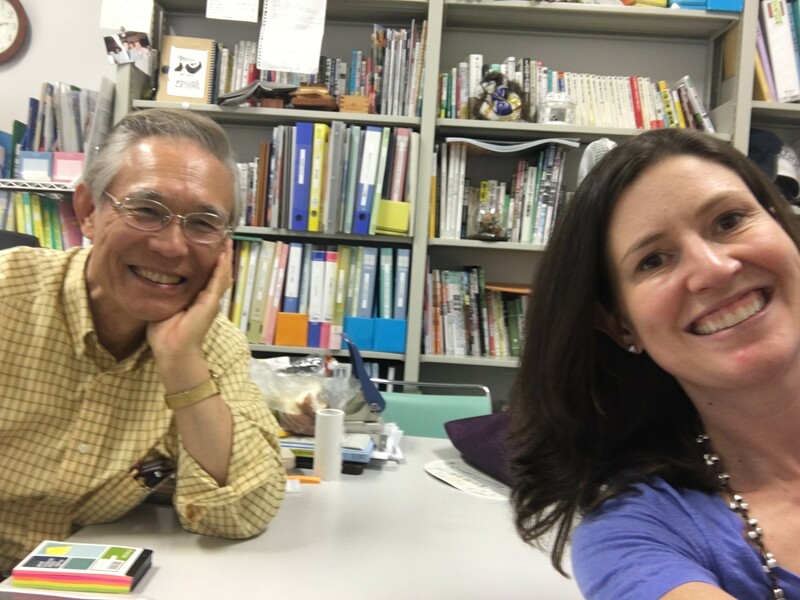 Japan Lean Study Trip – focus on people! Want to learn about the AME San Francisco Bay Area Consortium that I facilitate, or one of the Consortia in another U.S. metro area (including Salt Lake City, Chicagoland, Indianapolis, San Diego, Cleveland, and others)? Check out the SF Bay Area Consortium website or the general AME Consortia webpages. One of the most special experiences of moving to Japan was befriending Mr. Isao Yoshino, a 40-year Toyota leader and one of John Shook’s first managers at Toyota. Click here to get your own copy of the top 10 Toyota leadership lessons that Mr. Yoshino has shared with me. 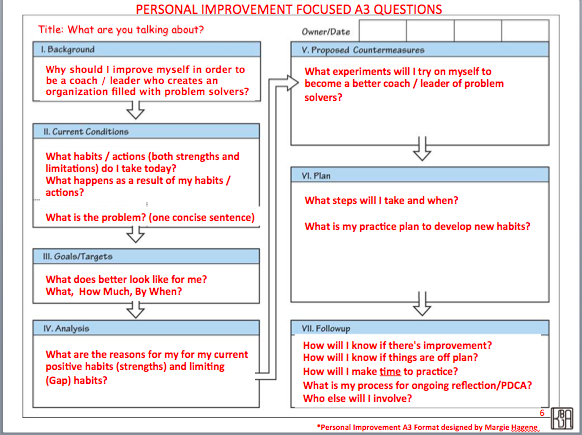 An example of some basic questions of the Personal Improvement A3 flow. Click here to get the Coaching Guide for more tips and example coaching questions. This detailed Personal Improvement A3 Coaching Guide is a handout used in the Coaching for Personal Development workshop that I offer (see the Public Events page for upcoming dates). The Personal Improvement A3 Coaches guide includes example questions and coaching tips on how to use the A3 framework to support the development of yourself and others. You can also find a variety of blog posts related to the Personal Improvement A3 thinking process here on my website. Join me at an upcoming public workshop (see calendar here) or contact me directly for coaching support or a customized on-site learning experience for your organization. Sign up for my newsletter and stay informed of the most recent blog posts, book giveaways, and other specials!